Last month I participated in the Riley Blake Challenge. It was our guild's challenge to make a pillow. I cut up my fabric into strips and then sewed them in my first attempt at a chevron . Adding a few more strips at the bottom, I had a nice sized pillow. I used my machine zigzag to "embroider" the name of the sweet little baby that I was giving this to. My friend, Danny, had a baby in January and I added a cute little outfit and sent this her way. 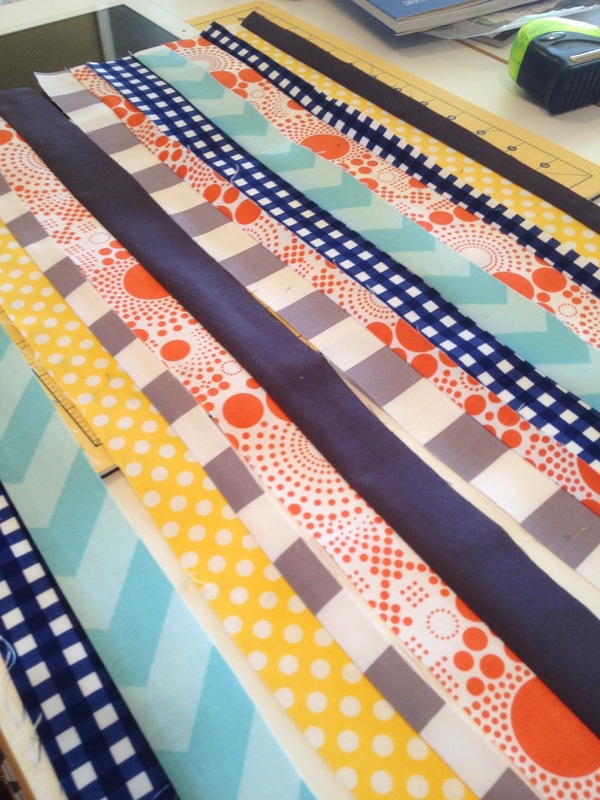 The challenge rules were simple, use only the fabrics given or any solid or Riley Blake print could be added. I had this cute print from the Who's In the Forest line of fabric and it made a great backing along with my first hidden zipper. 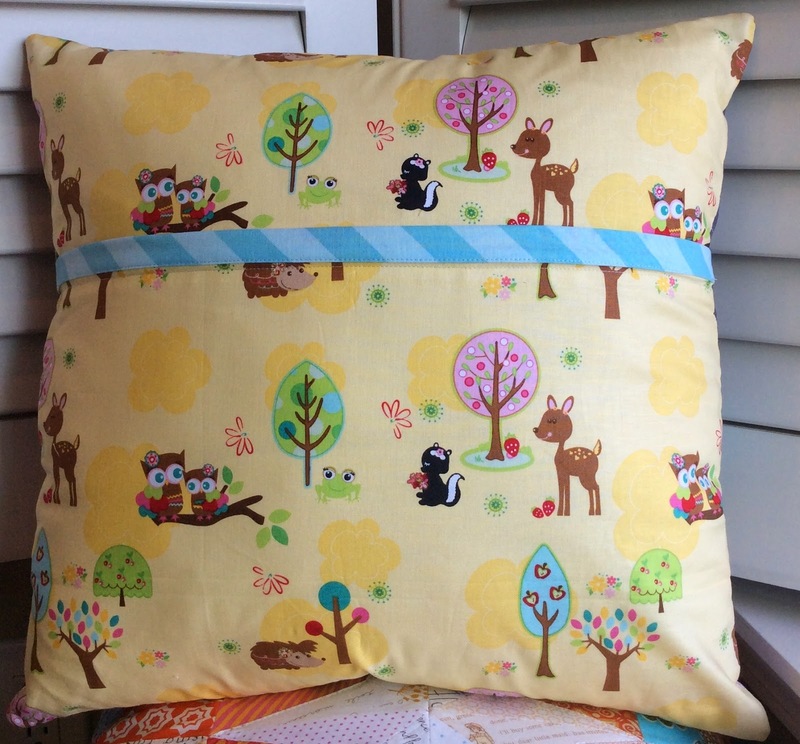 Next up was this yellow and grey pillow for Tammy's Birthday. The Handmade Birthday club has been a fun swap and everyone is making such lovely things. Tammy liked her pillow and extras that I sent for her March Birthday. I love this combination of fabrics and this color palette. Last, is this pillow for Diane, also a March birthday girl in our club. It is made of strips and squares from Robert Kaufmann's Shimmer line of fabrics and combined with some Essex Yarn Dyed linen. This pillow got the ultimate approval, Diane said her husband really liked it! All lovely but I especially am drawn to your Shimmer pillow. Love your mix of fabrics and the quilting just makes it!! Gorgeous pillows- you are 'pillow-making' factory! I saw the shimmer pillow on flickr, it is fantastic. Maybe it is time for me to make something yellow and grey?